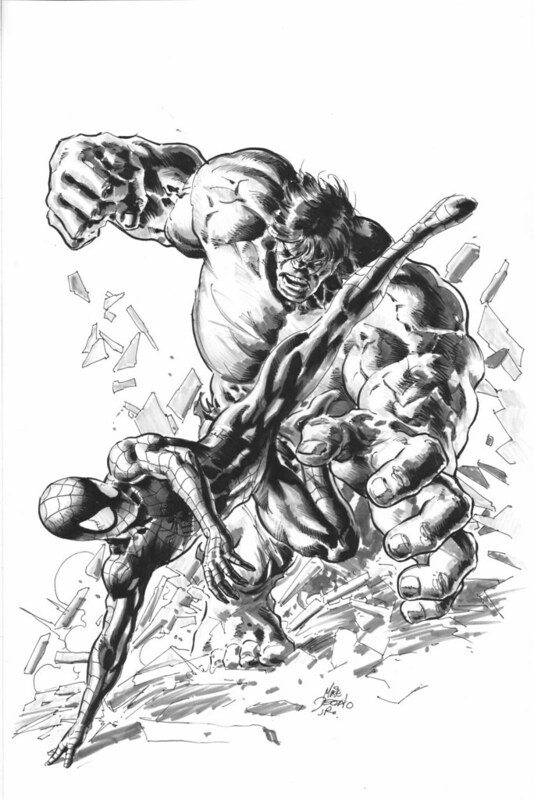 Spider-Man versus the Hulk in black and white glory by Mike Deodato. Amazing and Incredible! Check out another new cool Deodato commission with Wonder Woman versus Ms. Marvel over on Giant-Size Geek! Nuff Said.